WASHINGTON (Reuters) - The Federal Reserve Board's top bank regulator said on Friday he would resign, giving a boost to President Donald Trump's plans to ease reforms put in place after the 2007-09 financial crisis. Daniel Tarullo, a strong regulator who was dovish on monetary policy in his seven years on the board, said in his resignation letter to Trump he would leave the U.S. central bank on or around April 5. With his resignation, Trump will have three positions to fill on the Fed's Board of Governors, which at full strength has seven members. Much of Tarullo's legacy involves erecting safeguards after the 2007-2009 financial crisis and accompanying recession, where big banks crumbled or were driven by the Fed and U.S. Treasury into shotgun mergers intended to make them stronger. With the goal of never needing taxpayer bailouts of failed banks, Tarullo has been strict about carrying out the 2010 Dodd-Frank Wall Street reform law and administering rigorous "stress tests" annually to banks on how prepared they are to withstand unexpected shocks. The tests gave Tarullo huge control over the largest U.S. banks. Performance in the exams dictates how much money they can return to shareholders in dividends or spend on stock buybacks. Failure puts bank bosses under pressure and lenders devote thousands of staff and hundreds of millions of dollars to passing the tests. Tarullo has also pushed for bigger capital buffers and other checks on potential risks banks may pose to the world's financial system. His departure leaves many questions about the future of financial regulation. Tarullo sees the direction of changes under Trump as unclear, but said he expects the core elements put in place during his tenure of increasing capital requirements, risk management, and a resolution regime for big banks may survive. "I'm hopeful that they really do command a broad enough consensus that this was a way to combat the 'too big to fail' problems which obviously bedeviled the system in the years leading up to and in the crisis itself," he said in an interview with Reuters. One bank executive, who declined to be quoted by name, said the industry is relieved the Tarullo era is over. Bankers had long complained he and his staff kept changing the stress tests and balance-sheet reviews in ways that arbitrarily ratcheted up capital requirements behind closed doors. "He made up rules in a black box and would not bother to explain their rationale to banks," the executive said. 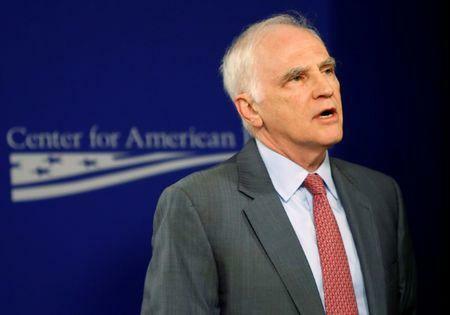 Tarullo said changes to the stress tests, known by the acronym CCAR, that he and Yellen have proposed, on including capital buffers and a Global Systemically Important Bank surcharge, are "moving along right now." "It's going to provide more certainty to the banks about what the next final stage of CCAR will look like," he said. Liberal and progressive groups said Tarullo had fought to protect Americans from another financial crisis or economic catastrophe. "Governor Tarullo has stood steadfast as a sentinel on the front lines of a six-year war to turn the Dodd Frank financial reform law into a reality," said Dennis Kelleher, president of Better Markets, a group created to promote economic stability. Besides crafting regulation, Tarullo is a voter on interest rate policy, with a record of tending toward caution on raising rates. The Fed signaled in December it could raise rates three times this year. Tarullo plans to attend the March meeting. Bank stocks moved higher in the moments following Tarullo's resignation announcement, with the S&P banks industry group index rising 0.35 percent. The Trump administration has already said it would appoint a new Fed governor charged with heading financial regulation, a post created in Dodd-Frank. Tarullo was never formally confirmed for it, but stepped into the role. In addition to the three appointments Trump will be able to make soon, he will be able to nominate a replacement for Fed chief Janet Yellen when her four-year term as chair ends in January 2018. Fed Vice Chairman Stanley Fischer also completes his term in 2018. David Nason, a former deputy to Treasury Secretary Henry Paulson in 2008 and General Electric executive, is the front runner for the regulation post, according to sources familiar with the matter. John Allison, a former BB&T CEO who has said he would like to abolish the Fed, has also been mentioned as a potential nominee. In recent months, Tarullo sharply questioned moves by Republican lawmakers to roll back post-crisis regulations, putting him at odds with House Financial Services Committee Chairman Jeb Hensarling. Last year he criticized Hensarling's proposal to give banks a choice between complying with Dodd-Frank or holding higher amounts of capital, saying the capital ratio was too low. Hensarling is expected to introduce a new draft of the bill soon.